Hilton Rose Hall Resort & Spa, near Montego Bay, is now offering up to 35% off all-inclusive pricing, with stays booked by April 20th, 2017 for stays through January 1, 2018, based upon availability. 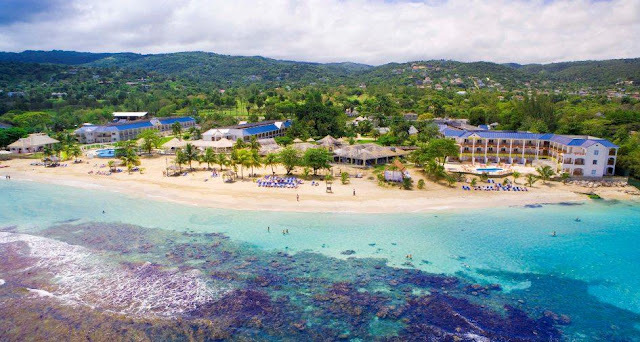 The all-inclusive Hilton Rose Hall Resort & Spa in Montego Bay features 489 newly designed guestrooms and suites, 2500 feet of private, secluded beach, Soothe Spa, and one of the largest water parks in the Caribbean. Another new enhancement includes ten beachfront cabanas (5 over sized, 5 custom) located directly on the beach, perfect for the family wanting an oceanfront cabana experience - daily fees apply for the cabanas. Sugar Mill Falls, known for its thrill slide, natural lagoons, three terraced pools, "lazy river" and cascading waterfalls. Dining includes six exceptional restaurants with the new Pizzeria and Pasta Bar, Moonstone di Mare, and Coffee Shop and juice bar makes family dining fun with options. Other resort features include three bars, lighted tennis courts, fitness center, Kids Klub and watersports center for sailing, SCUBA (fees apply), kayaking and snorkeling. Two of the largest water parks in the Caribbean can be found at Hilton Rose Hall Resort & Spa and Jewel Runaway Bay Beach & Golf Resort - both are included in the all-inclusive pricing. Jewel Runaway Bay Beach & Golf Resort is offering a Spring Sale, with special rates up to 50% off plus kids stay free on select travel dates. Family vacations must be booked between March 16, 2017 through May 10, 2017 for stays through January 1st, 2018, based on availability and (3) night minimum is required. The all-inclusive, all-ages Jewel Runaway Bay is located on Jamaica’s North Coast. The 268 room resort features connecting rooms, ideal for families, concierge and butler service, and junior suites with private balconies or plunge pools. 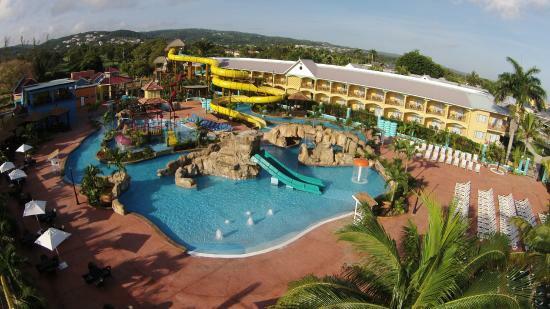 Jewel Runaway Bay Beach & Golf Resort is the perfect choice for your family vacation - Three pools, eight restaurants and endless activities and entertainment including a weekly Talent Shows and Reggae Bands. The resort all-inclusive program includes water sports offering snorkeling, windsurfing and kayaking and a PGA-rated 18-hole championship par 72 golf course with complimentary greens fees. The 9,000 square foot Jewel Lagoon Water Park is a vacation destination in itself, and is located directly on the beachfront. 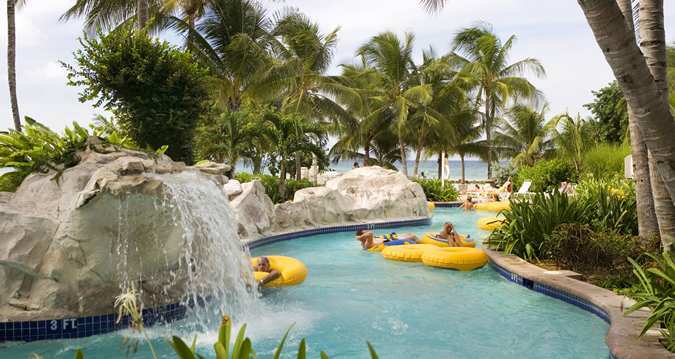 The water park has towering water slides and family raft rides, secluded private cabanas and waterfall coves with a raindrop umbrella feature, known to reduce stress with soothing and therapeutic water streams. Water Park guests also have access to an expansive, oceanfront 5,000 square-foot sundeck, a raised entertainment stage for live music, a full-service dining plaza and bar and grill, as well as private club locker rooms with showers. Jewel Runaway Bay offers a comprehensive Kids’ Club program, along with the Ruby Ranch which is known for its Jamaican hayride at night with bonfire, movie and smores, plus zombie laser tag. Runaway Bay also has its own new recording studio in The Teen Zone for kids to record their own CD.